One of the toughest parts about being in the city during the summer is the lack of outdoor space. Not everyone has a backyard, a patio, balcony, or roof deck, so enjoying those summertime drinks in an environment that matches is near impossible. 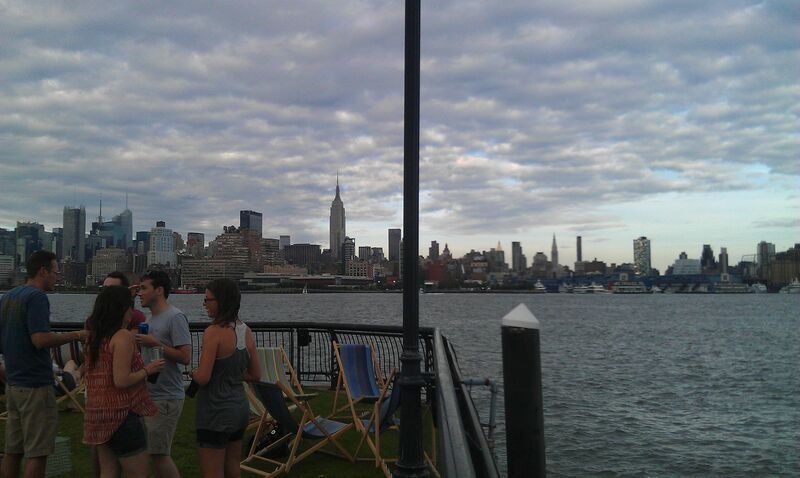 However, with Hoboken’s newest pop-up bar, Pier 13 is all about green grass, great views, and top notch beer. Just a stone’s throw away from the North Hoboken Ferry Stop (on 14th Street) jutting out into the Hudson River at 13th Street and Sinatra Drive is Pier 13, the newest beer garden in the area. 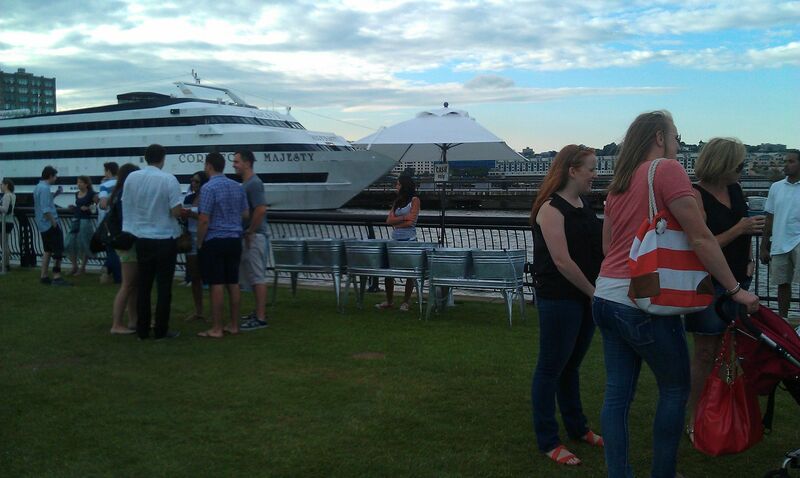 Much like the popular Frying Pan in Manhattan, everyone loves a good drink on the Hudson River. 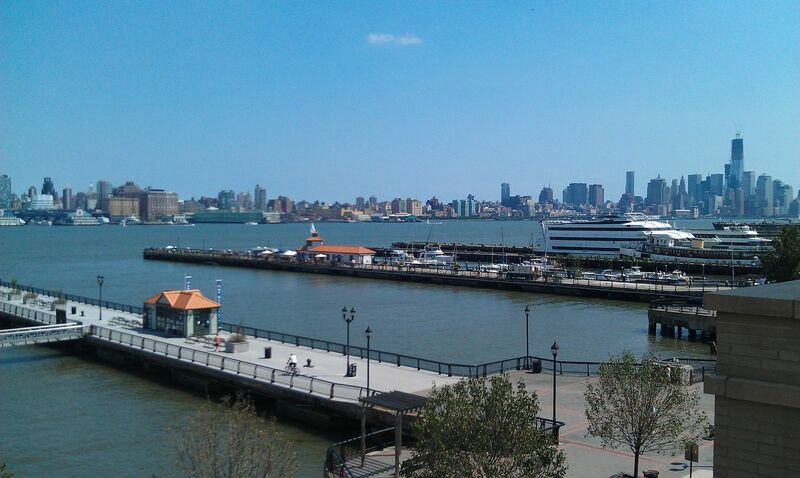 Unlike the Frying Pan, Pier 13 isn’t overly packed, isn’t overrun with the Frat crowd, and has great views of NYC. As you walk on down the pier into the “bar” you first come across numerous picnic tables and benches which, depending on when you show up, may or may not be occupied. You will want to work your way to the bar, which is basically a beer truck. 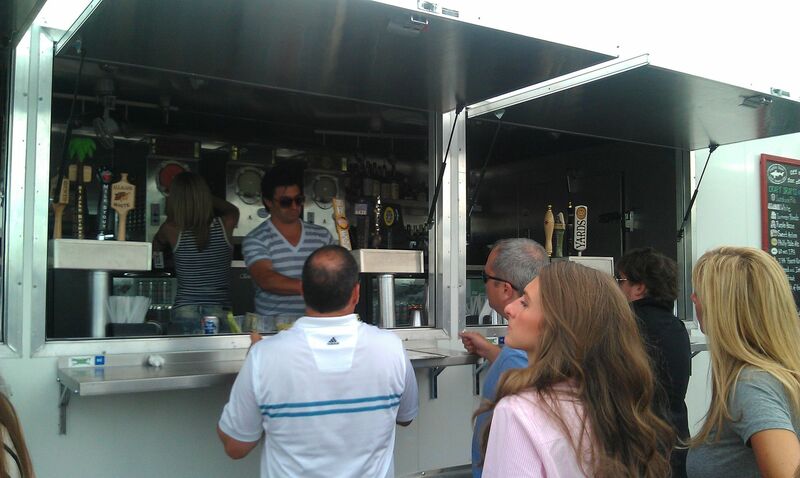 However, unlike most beer trucks, this is complete with a full bar. Wine, mixed drinks, and frozen cocktails are all available, but it’s the beer selection that shines. With a wide selection of craft and micro brews, this pop-up bar ranks up there with Hoboken’s best beer stops. Purple Haze, Sweet Action, Philly Pale Ale, and a number of Dogfish Heads brews are all on tap with numerous other bottles to boot. Most beers I found to be $8, with PBR cans being reasonably priced at $4. If the beer line seems long and you want one of the can/bottles, sneak further down the pier and there is a waitress with ice coolers full of beer (cash only). We showed up here early on a Saturday night, around 6 PM for a few pre-dinner drinks. It was a picture perfect night and the Pier was filling up nicely. However instead of the common Hoboken 20-somethings, the scene was split between young families and the typical 20 somethings. It was kinda shocking and fun watching parents enjoying a couple of beers with their friends as their young children were playing with other children on the pier. Kids were enjoying playing tag in the grass. 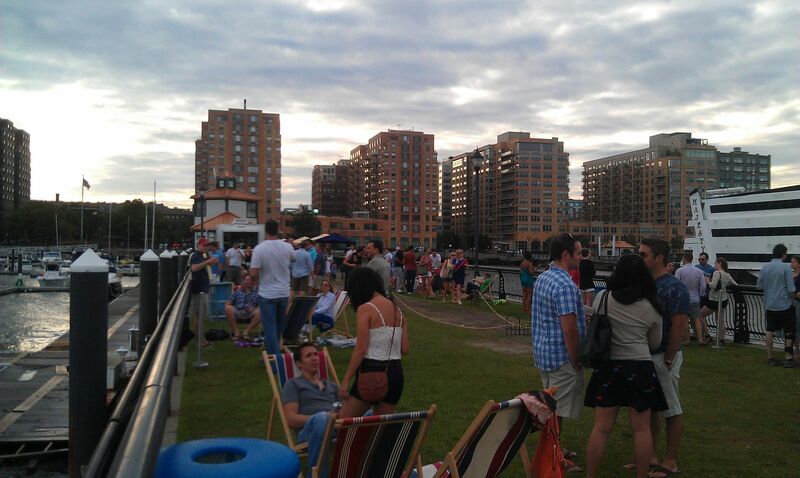 Other adults were having a couple beers in the lounge chairs that Pier 13 provided. 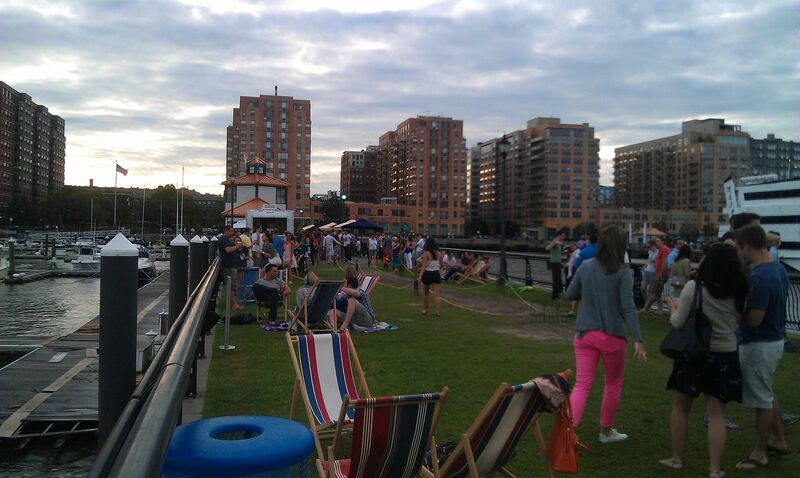 There was a great sense of community out on the waterfront, which I appreciate. 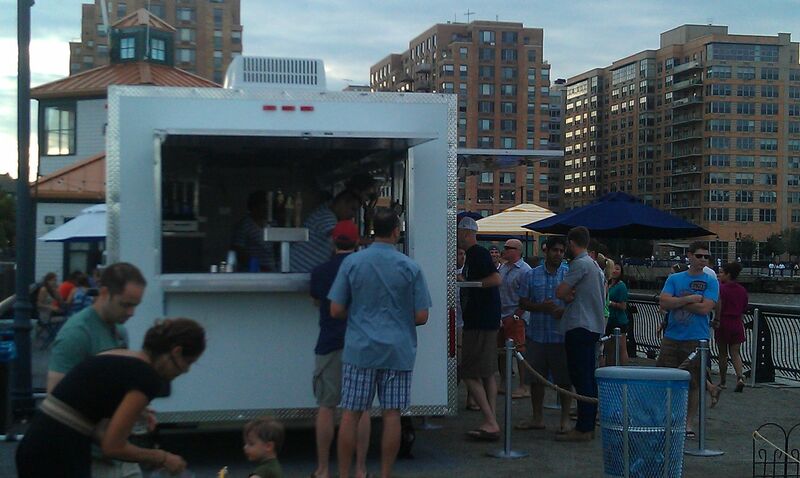 While no food is served by Pier 13, you can bring your own chips and dip, or grab some food from the food trucks that stop nearby like Luke’s Lobster and Hoboken’s own Taco Truck, which have been known to frequent the area. I had a couple of Summer Blondes and enjoyed my time way out on the river, with the city so close, you could almost touch it. Preconceived notion – I had heard a lot of good things since their 4th of July opening, but I figured that since everyone was talking about it that it would be overrun by the frat crowd. I was definitely wrong! Crowd stereotype – Lots of young families with their kids and other large groups of friends. Music – They had a DJ that was one of the best I’ve heard spinning at a bar. Definitely helped to make for a better spot by mixing the fun songs that everyone knew and not house music which makes you cringe. Value – Only downside, $4 PBRs are a little high. $10 mixed drinks and $8 high quality beers is probably on target, but definitely not a great value. Date – Bring them, it’s a great place to double, to relax and talk. Hookup – Maybe you will end up meeting someone here. Dance – Little kids were grooving to the music, but I don’t think you want to be dancing out there. First or last drink of the night – Closes fairly early cause of noise issues (11PM M-Sat, 10 PM on Sundays) with the neighbors so it’s a better first drink than a last drink. Overall – Definitely has been a major addition to the Hoboken bar scene. Being so close to the ferry and the bus has made this a place even people from NYC are willing to come to…and they should as it might beat out any outdoor venue in Manhattan. Relaxing crowd, good music, and a deep beer list it’s a perfect mix. Great for one of those afternoon weekend heavy drinking days. Get yourself a tan, bring in some food and cozy up on a beach chair or 2. Get some great happy hour specials and this could be as close to a 10 as you could get. Hurry up and get over to Pier 13 before the summer is done and it closes up.… I’ll give it an 9.5.